Customer’s Canvas Packaging is a web-to-print API that integrates into any website and streamlines the creation of personalized packaging products. Customers can design their packaging without leaving your site, visualize finished products in a realistic 3D preview, and export them to a print-ready output. The intuitive online editor allows users to easily create packaging designs from scratch, one layer at a time. It’s also possible to upload pre-designed templates that users can personalize. This feature enables customers without any design skills to create personalized packaging products on your site that look like they were designed by a professional. There are several dimensions to consider when creating packaging, such as length, width, height, thickness, and more. Customer’s Canvas Packaging can generate die cut templates based on any of these parameters specified by your customers. It also supports FEFCO and ECMA standards as well as loading custom parametric models. There is a lot of variety between the different types of packaging and the materials your customers may want to use for their products. It doesn’t matter what combination they decide on, they can easily personalize it with Customer’s Canvas Packaging. 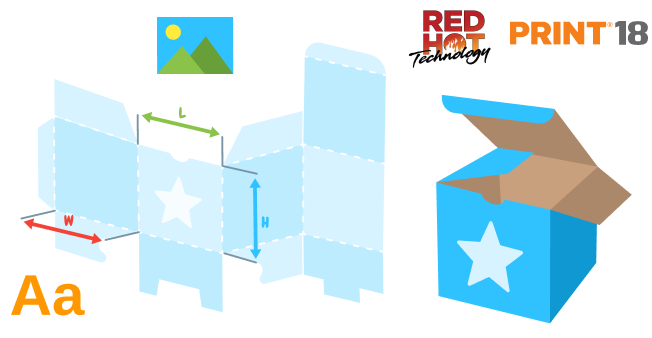 Once a customer finishes their design, the editor will allow them to display a realistic 3D version of their personalized packaging product from multiple angles. If they are not satisfied with the final design, they can easily return to the editor and make the necessary changes. The advanced API automatically converts user-generated designs into print-ready files with true CMYK, PDF/X-4 support, and correct imposition. Help your customers stand out in a crowd of competitors!